What about the "e", the "f", the "g", the "h", the "i", the "j?!" I'm in my p.j. 's, i'm drinkin' o.j.! ha ha! For "prakazrel" in the place to be! On sesame, clap your hands do a dance with l-jiggity! 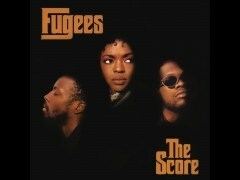 BE YOURSELF (EASY AS A-B-C) es una canción de The Fugees.